Online search giant Google has stepped in the browser space. 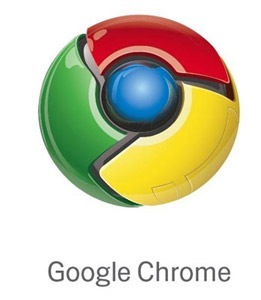 Following the releases by Mozilla (Firefox 3) and Microsoft (IE 8 beta 2), here comes Google (Chrome). Google prefers to call it “a fresh take on the browser” and claims chrome is designed to handle media-rich and highly complex Web applications, efficiently and faster. Chrome, is an open-source browser software, it means programmers can edit & add their own features into its code. In such case Chrome poses a great threat to current browsers basically designed to handle text and graphics. Google released Chrome (public beta) for Microsoft Corporation Windows’ users on September 2. Chrome will be available free to net users of over 100 countries via Google’s official blog. And soon, versions for Apple Macintosh and Linux will arrive. Till now, Google had openly & actively supported Firefox . Google helped Firefox financially as well as technically for bug reporting system and making Firefox more secure. Advertising partnership with Google helped Firefox spread heavily. Coz of which, as per non-profitable Mozilla Foundation’s financials for 2006, 85% or around $57 million of company’s $67 million annual revenues came from Google. Recently Google extended its advertising alliance with Firefox till 2011. Firefox ranks second most popular browser, with market share of more than 10 per cent. Only Firefox has challenged Microsoftâ€™s monopoly over the browser market. John Lilly, chief executive of Mozilla Corp said in a blog, â€œIt should come as no real surprise that Google has done something here, their business is the Web, and they’ve got clear opinions on how things should be, and smart people thinking about how to make things better.â€ John as well as Google have assured that Mozilla and Google would continue to collaborate together and also with others where it made sense for both organisations. Whom will Chrome strike more, Firefox or Microsoft IE? Get it Google (Chrome).